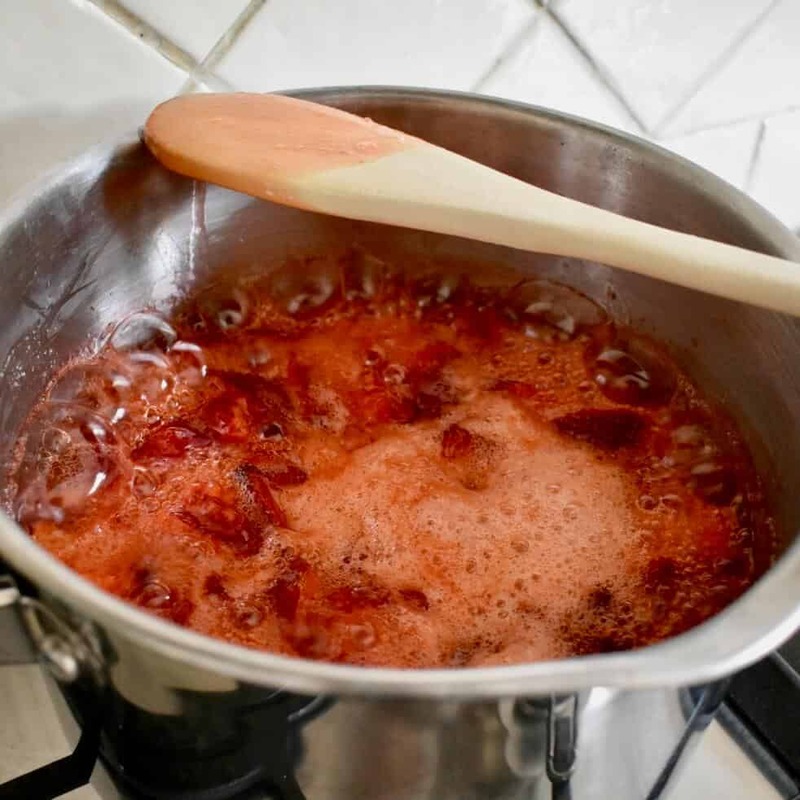 I’ve been in search of a simple Strawberry Jam recipe for a while, after fluking a great batch and then following that up with a disaster (yes, you can burn jam and, yes, it is messy). 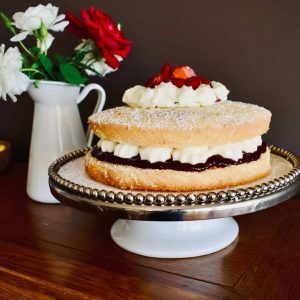 This recipe is the product of my experimentation with Nana Ling’s Mandarin Jam Recipe and a few other jam recipes I found on the web. It satisfies my two top jam-making essentials: it’s simple and it works! 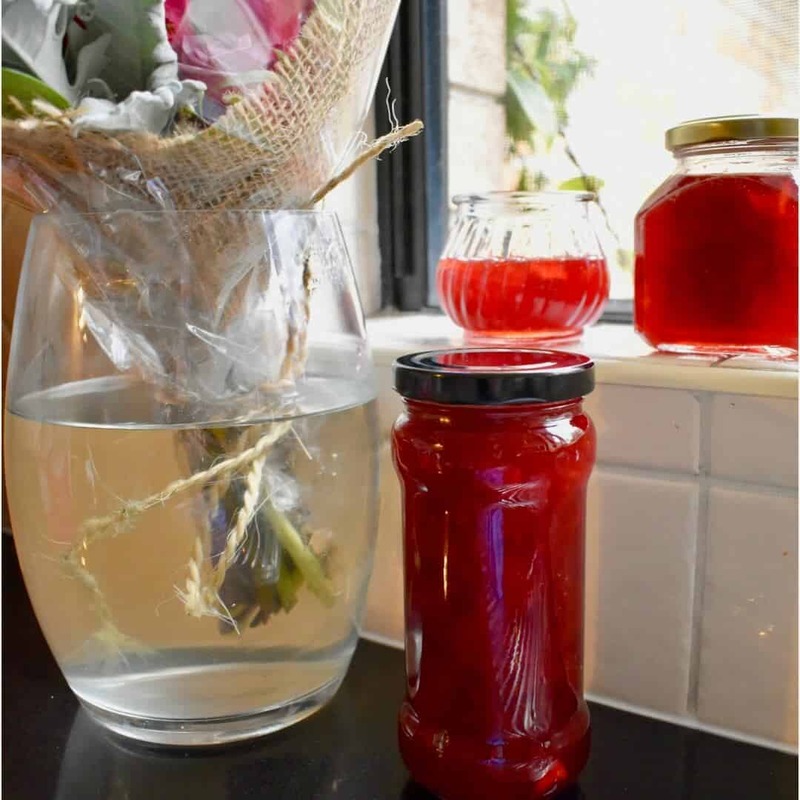 I must admit I’ve always been a little afraid of jam making – with all the talk of sterilisation, water baths, pectin and setting. And it’s hard to get the balance right. Jam seems to go from runny to toffee in an instant in my kitchen. 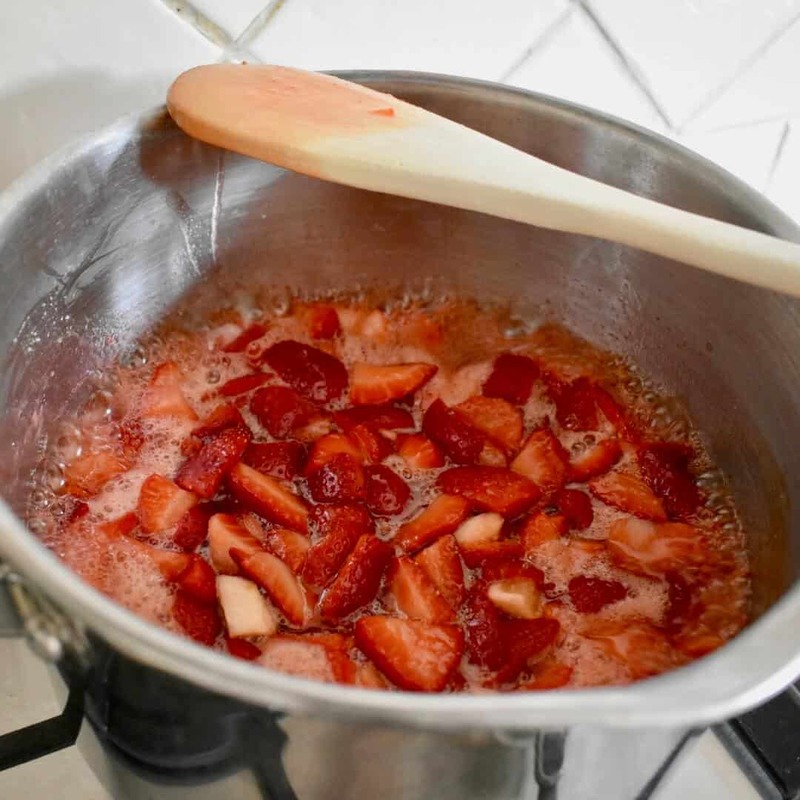 But after testing and tweaking a few strawberry jam recipe variations, I’ve come up with this strawberry jam recipe that anyone can make. And I promise I won’t mention pectin or water baths. 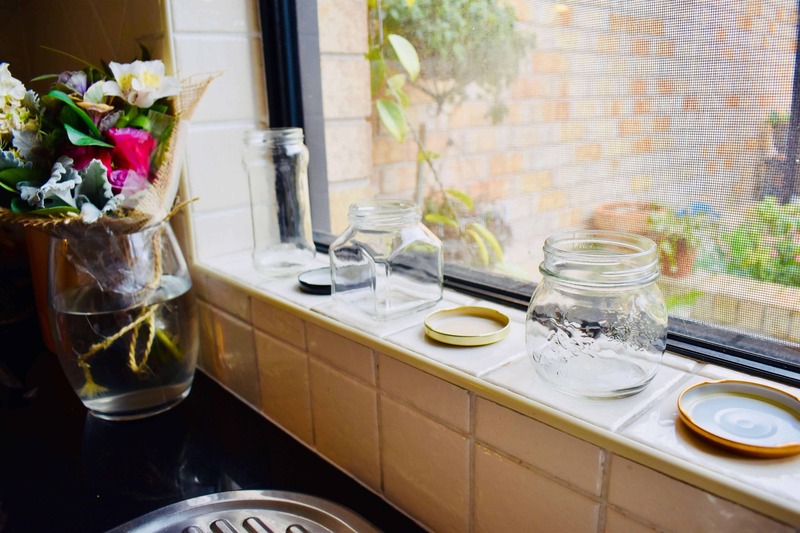 I sterilise store-bought food jars by using an intensive wash in the dishwasher. I don’t follow any other elaborate jarring ritual, though I do store my jam in the fridge even before opening. 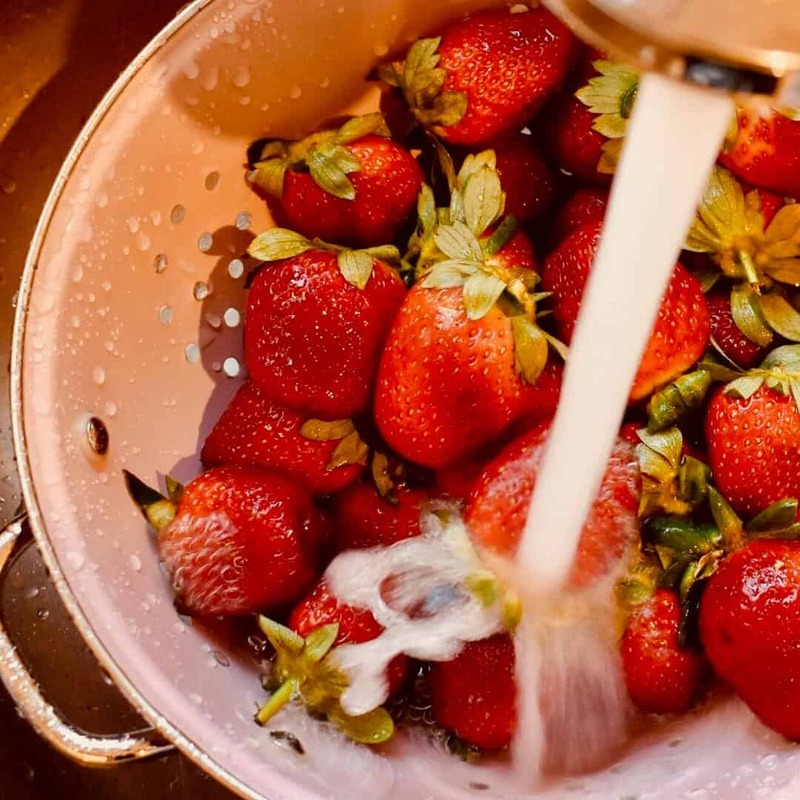 Buy ripe strawberries. Score bonus points if you scoop them up when they’re on special. What can be easier than throwing all of the ingredients in the saucepan? This recipe doesn’t involve any boiling of fruit first, it’s just into the saucepan and ready for jam making. Grab your wooden spoon, you’ll need that too. 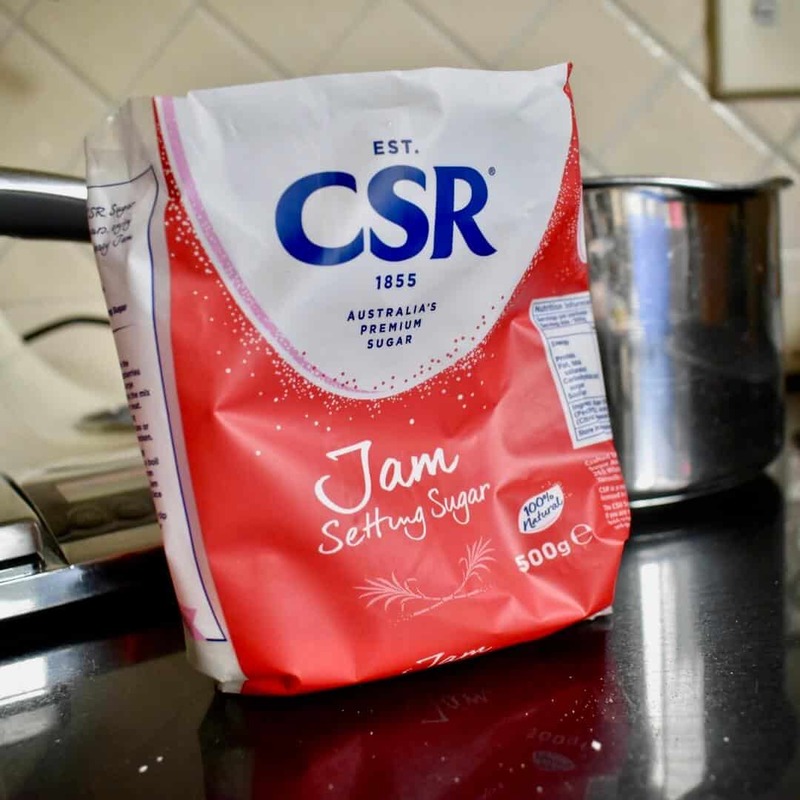 We use jam setting sugar in this recipe to make things easier. But we don’t need to tell anyone about our secret ingredient! Of course you have, and that’s all you need once you’ve brought the mixture to the boil (while stirring every now and then). Boil your jam for 10 minutes and you’re done! If the jam seems a little too lumpy for your liking, mash it with a potato masher before pouring the mixture into the jars. One last thing to do: enjoy! 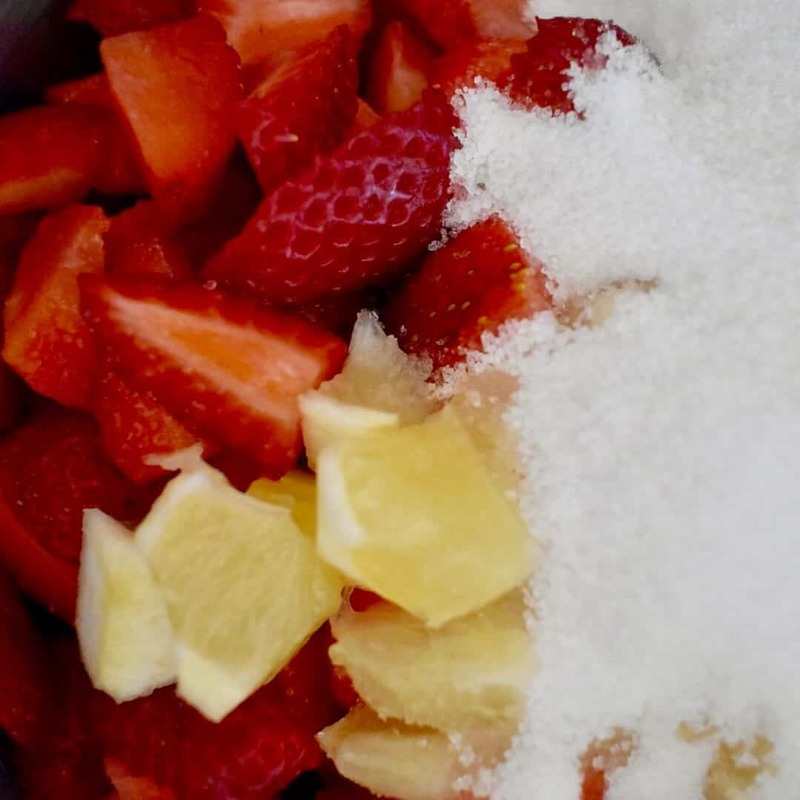 Enjoy the simple pleasure that is homemade strawberry jam. Sterilise 2-3 small/medium your jars (I just use the dishwasher and allow air drying if still a little wet). 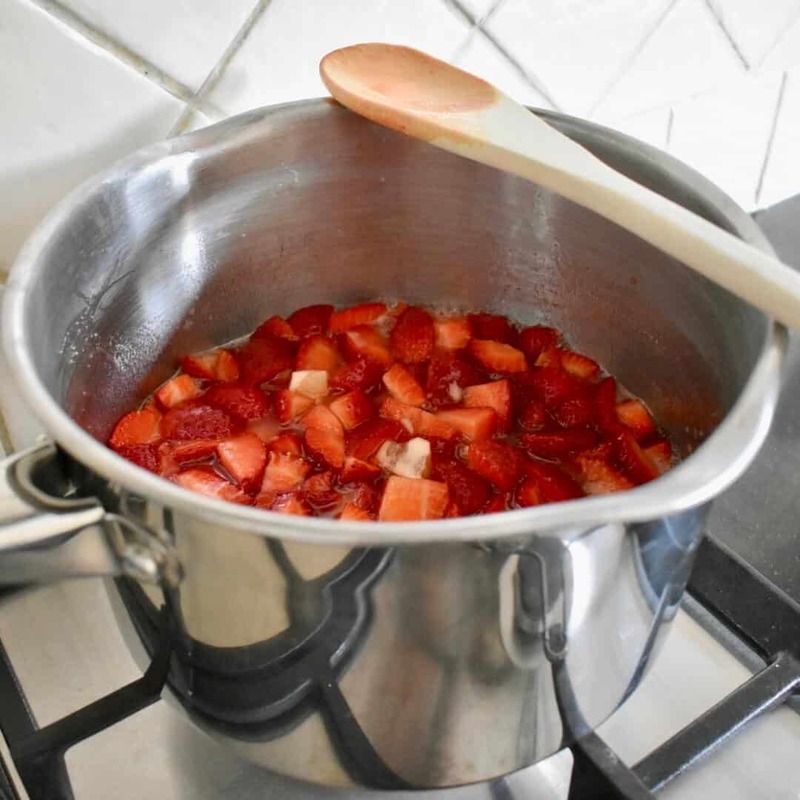 Place your strawberries (hulled and roughly chopped) into a large saucepan (stawberries should be half the volume of the saucepan or less). Add peeled, seeded and chopped lemon. Bring to the boil, stirring every now and then. Adjust so the mixture is boiling at a medium pace, not furiously and not gently. Allow to boil for 10 minutes, stirring occasionally. Take off the heat and rest for 5 minutes. Mash with a potato masher if the jam is too lumpy for your liking. Pour into jars and seal with a lid.